Doubt my claims to being a product whore? Well doubt no more as I made my way out on a rainy evening all the way to Burnaby's Metrotown mall for an exclusive evening of pampering, champagne and discounted beauty products alongside my favourite blogger buddies all in the name of beauty. Talk about sacrifice. Just in case my dripping sarcasm is lost on you, I'll stop being silly and just gush about how lucky I felt to be invited to an exclusive after hours party at Kiehl's Metrotown. Myself and 10 other bloggers were in attendance to learn more about this international beauty brand, and to you know, get free samples. I'm sad to say that I had never stepped into this Kiehl's location before, but I must say that next time you're in Metrotown, definitely take a side trip inside as the decor alone is worth the visit. 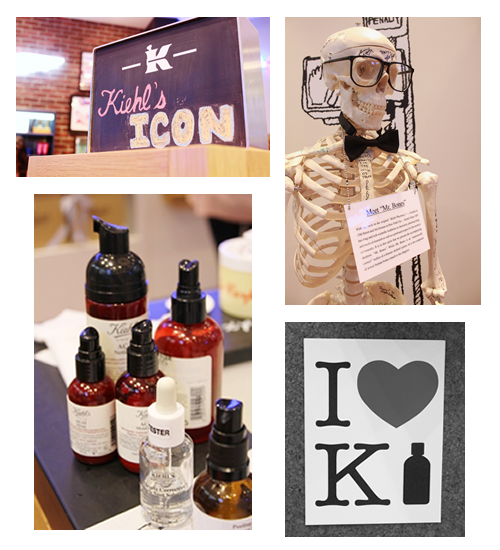 Every Kiehl's store is filled with interesting art and vintage finds that speak to its quirky and rich history. I especially liked the large chandelier hanging from the ceiling and the apothecary shelves lining one wall - wouldn't that just be such a neat way to store accessories and shoes? Since many of us weren't totally familiar to the brand, Kiehl's had a full staff in store of super friendly, gorgeous consultants who each did personal consultations with all us guests, advising us on how to resolve each of our unique skin issues. For myself, though I have pretty good normal skin, I am nearing an age where I do have to watch out for those first signs of aging. 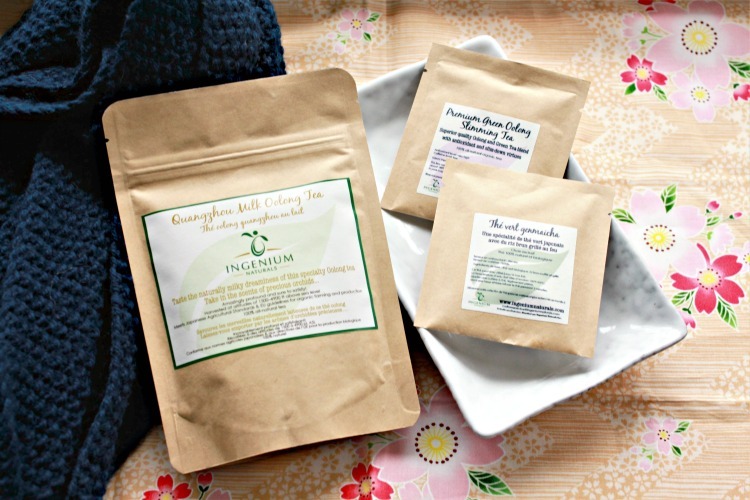 Primarily, my concerns were moisturizing, brightening and preventing age spots and fine lines. I'm already pretty good with the sunscreen, moisturizing and exfoliating, but what I hadn't realized was that I needed to use a serum in my daily routine. While regular creams will moisturize the top layers of your skin, a serum is formulated to penetrate the inner layers and help to provide total moistening of your skin. For my skin's needs, my consultant recommended I try their Midnight Recovery concentrate which is one of their miracle line products. I also snagged a bunch of samples of their Ultra Facial cream and the Abyssine Repairing serum, which I've been using the last couple days to amazing results! While Kiehl's products are of the highest quality, they are also quite pricy, so when purchasing I would strive to get the most value for your dollar. The nightly serums and treatments are a great way to invest in a long-lasting product that works. The highly popular Midnight Recovery and their new Clearly Corrective Dark Spot Solution for hyperpigmentation both sell for around $50-60, which for products of this type isn't that extravagant! I ended up purchasing the Midnight Recovery serum as well as some of their popular lip balm and a bunch of a free samples as seen above. What really topped the evening off though was that Kiehl's was kind enough to give each of us bloggers a free full sized bottle of their Clearly Corrective Dark Spot Solution!! I am so excited to try this product as I have a few pesky age spots I desperately want to get rid of. Clear luminous skin here I come!! Yes they do! I gave Mr. Artist a bunch of samples for their face wash and moisturizer. I agree that Kiehl's has great customer service but I prefer the Robson location. The staff I find is more knowledgable about products and seem more willing to help compared to ones at Holts and other free-standing stores. In fact, I recognize at least two women in your photo that work at the Robson location! They are so helpful while not being intrusive! That Kiehl's night out was so much fun. I bought the sunscreen and got a sample of one of their moisturizers, and I'm hooked. For the past month I've been using the clearly corrective serum daily, and I have to say that it's done wonders on my skin! Delicious dining care of Drew Cooks!